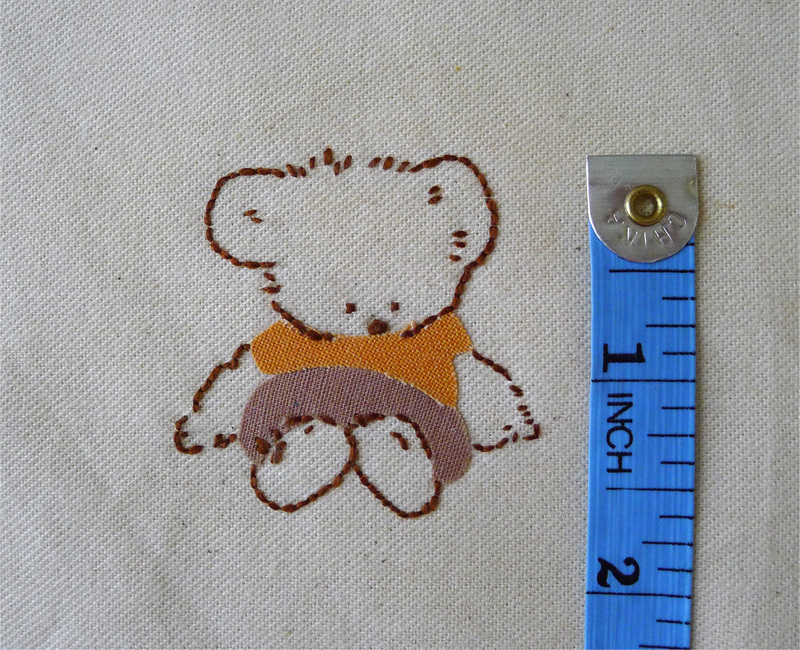 Sewing and embroidery project I did during memorial day weekend. 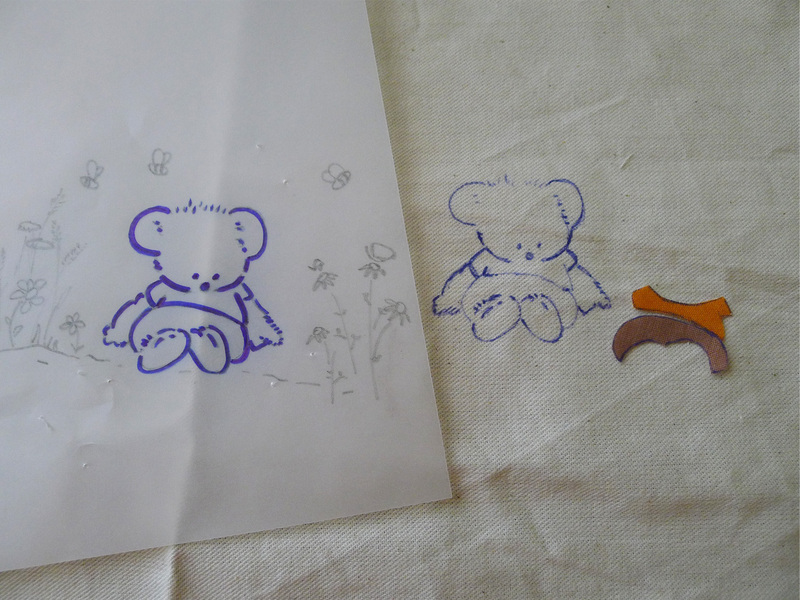 I put it into 2 separate postings, one is for the embroidery and the other one is for the sewing. 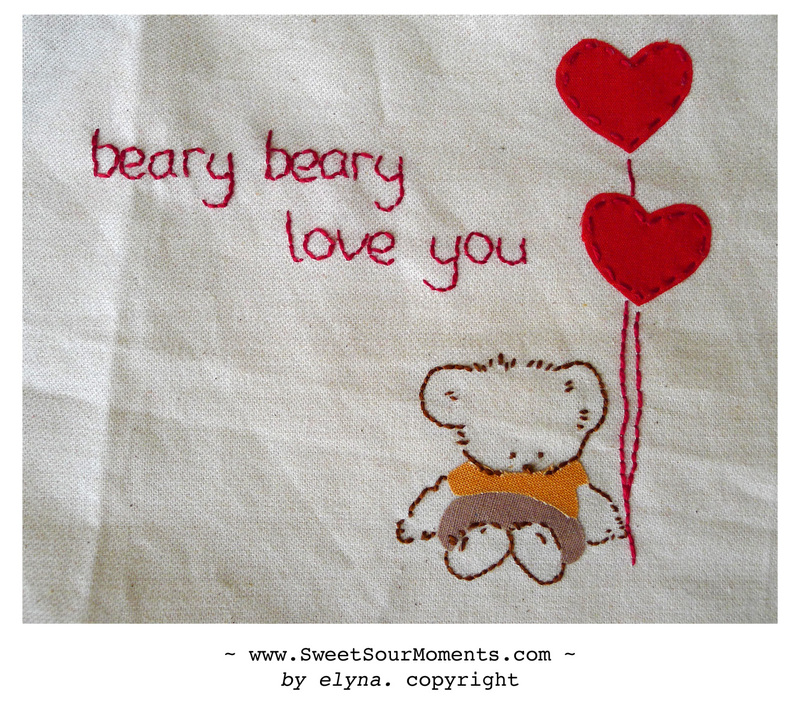 So here is the part 1, Bear embroidery! Initially I was planning to add some wild flowers and bees, as you can see I had drawn them on the paper in the right side, but then the plan’s changed … I added balloons and writing instead, I think this would be more fun for her. 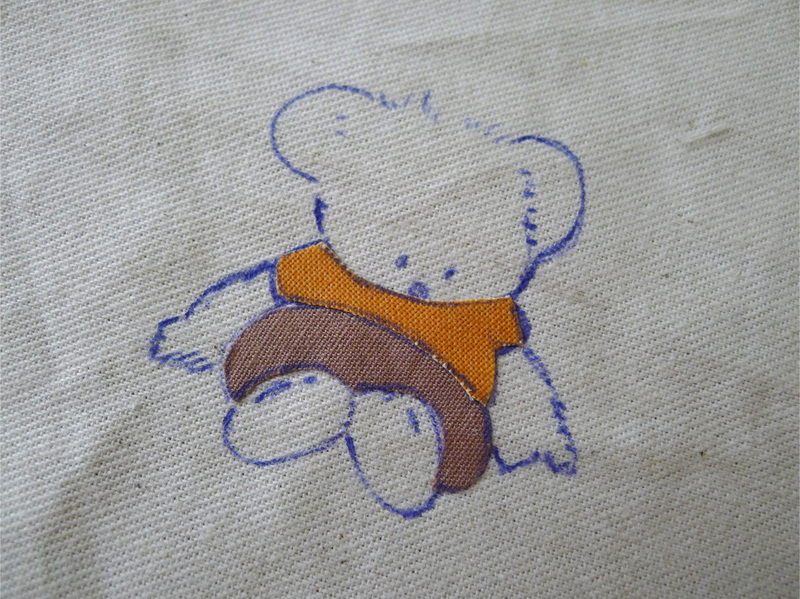 The bear outfit came from scrap fabric. 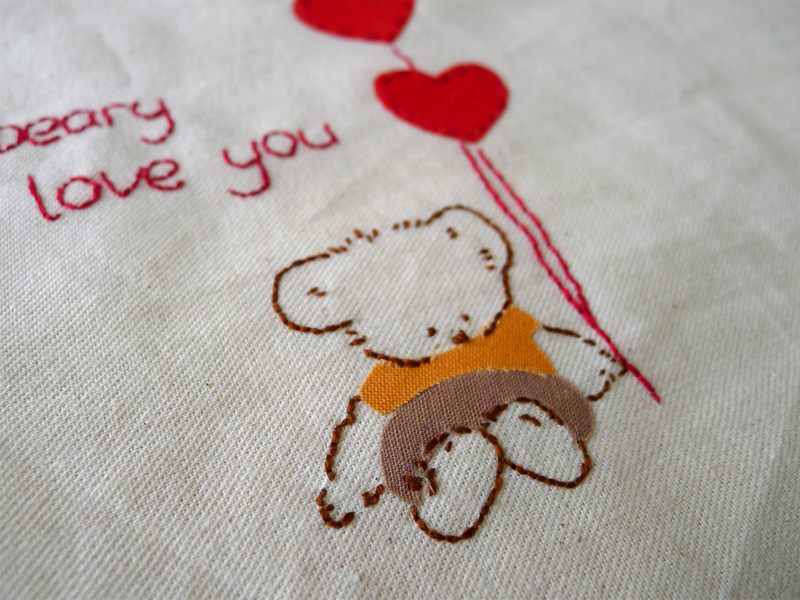 Stay tune for the part 2, I used this embroidery in sewing tote bag for her.